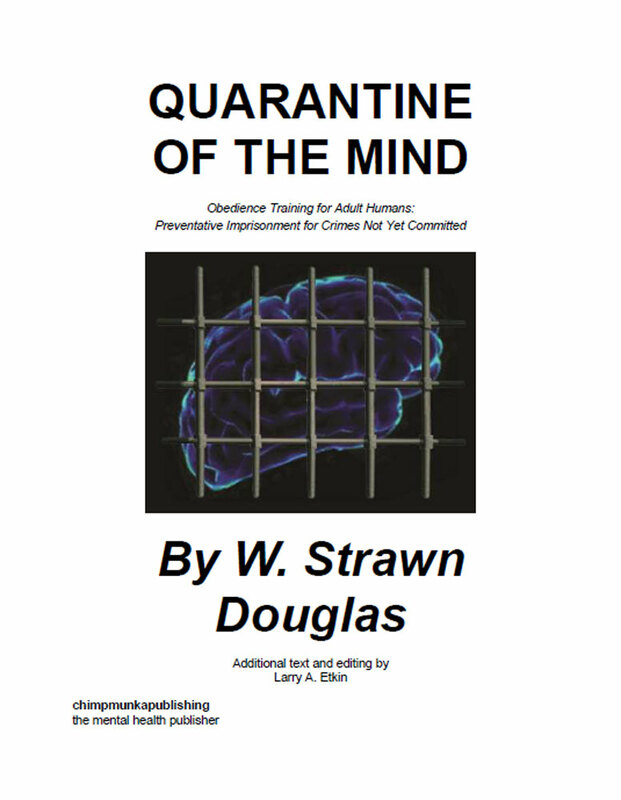 Quarantine of the Mind is an account of the tribulations of a person deemed mentally ill and dangerous by the courts, and "imprisoned" thereby for an indeterminate time (19 years and counting) in order to protect society from him. It is a diatribe against the system of "preventative imprisonment for crimes not yet committed," and the torturous activities that are often used at institutions, out of the light of public scrutiny, to manifest "obedience training for adult humans." The volume includes numerous historical references to the development of modern mental health medicine; describes competing approaches to restorative mental health and approaches to combating chemical dependency, and their overlaps; rails against inadequacies of the judicial system in its failure to protect the rights of the mentally ill accused; and advocates for dramatic expansion of more humane approaches to the treatment of individuals living with mental illness. 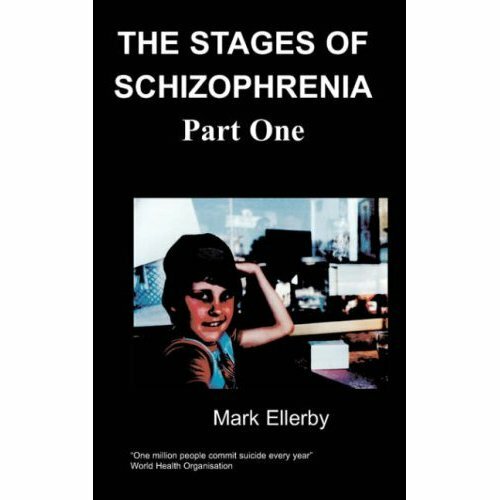 A decidedly non-academic text, it is a personal perspective of a son of a physician, who worked at world famous Mayo Clinic, who despite developing symptoms of schizophrenia at a young age, went on to serve in the U.S. Marine Corps for two years before being overwhelmed by his condition. His incarceration at the Minnesota State Security Hospital was ordered in the aftermath of his stabbing a young woman in the leg in 1993 -- she was a member of a small drug distribution gang -- in a delusional expectation of being able to bring police scrutiny down upon that gang through the visibility of his act. William Strawn Douglas currently resides at the Minnesota State Security Hospital, Saint Peter, Minnesota, where he was committed under a diagnosis of being Mentally Ill and Dangerous in 1993. That was the aftermath of an incident where he stabbed a young woman in the leg during a schizophrenic episode, thinking he could use the "incident" as a way to draw "the law's" attention to drug distribution activities he objected to. Douglas, born in 1961, grew up immersed in the medical system. His father was a physician at the world famous Mayo Clinic in Rochester, Minnesota. His mother was a nurse and nursing instructor. Douglas has attended the University of Minnesota in Minneapolis. He is a Marine veteran, has worked in the oilfields of Wyoming, and as a cook at the famed Seward Café on the West Bank area of Minneapolis. He admits to having been active for years as a user of what he calls short order soft drugs, and even participated in distributing some of them. He was never tempted, he says, to use the more serious addictive street drugs. He has also worked as a graphic artist. In his life before Saint Peter, Douglas was an avid bicyclist. These days he spends his time reading science fiction, studying ideas about the shapes of future governments, and trying to combine the two in his fiction writing. Optimistic about how the treatment of his mental illness is progressing, he hopes to finally be released from Saint Peter in the not too distant future, and he hopes to return to school for a nursing degree to provide a professional credential to help his advocacy for change in forensic mental health. I have written this book for all those types who might buy gold and guns, and books on black helicopters, UFOs, and all legends of Nazism and conspiracies going onward trying to stamp out all virtue in a greedy, glum world. In other words, a primary audience for this book are those individuals with tendencies toward paranoia, who see government or corporate conspiracies around every corner, and who tend to lean very heavily toward being libertarians politically. But this book is also written for the large community of caring people of every political stripe who advocate for the protection and rights of the vulnerable adult community. The mentally ill, including residents of facilities such as Minnesota's Saint Peter State Hospital, a security facility for those deemed mentally ill and dangerous, or just sufficiently deviant, constitute a significant portion of that vulnerable adult population. This book is also here to define boundaries for neurochemical freedom in a world bound by Scientologists and Bilderbergers, the former being a cult that abhors any use of pharmacological medicines to attack mental illnesses, the later being a club of the world's richest and most aristocratic movers and shakers. I hope my text will both educate and amuse you. I believe there are some real conspiracies for us all to acquaint and amuse ourselves with. One of them is that our present legal system virtually makes it a crime of possession to have a mental illness. There are many mentally ill people who go quite unnoticed by the government because they never create any public trouble. The law only concerns itself with that subset of the ill population that inconveniences others and makes trouble. If you have a dangerous mental illness, something sometimes defined overly broadly, you are deemed as much of a threat to society as if you were a "Typhoid Mary" or had Ebola, a machinegun, or poisonous drugs. At that point you get arrested, committed, and tortured until you are deemed to no longer be a threat. This is how our coercive behavior modification systems and scenarios deal with anyone looking suspiciously like they have a dangerous mental illness. Torture the subject until he or she capitulates. It's not pretty, but it is quite common. People who repeatedly point out the facts and ways and means of coercive behavior modification often position themselves to be driven mad, even from a starting point of great sanity. When capitulation is deemed to be health, then the world denies itself the best spirits our human resources can provide. During the Reagan administration, there were plans drawn up to create what conspiracy theorists called "concentration camps." These were to be used for imprisoning people that the Reagan administration defined to be “undesirables.” It was said that these camps were to be devoted to political activists, anarchists, communists, and anyone who criticized our government or the president. It was also not beyond thinking that such camps would also be useful for warehousing people who were identified as the dregs of our society, including such people as the mentally ill. When he was governor in California, to save money in the state's strained budget, Reagan chose to remove mentally ill people from the high-cost relationship of commitments to long-term residency in regional psychiatric treatment centers. Reagan wanted to balance the State of California’s budget by cutting any programs that did not overtly serve the needs of the state’s conservatives, especially programs that liberals might like. His cuts included significant parts of the budget allocated to care for the mentally ill. The dollars allocated to provide care for an average mentally ill person were reduced from the equivalent of the salary paid an airline pilot or general practitioner doctor, to the equivalent of about one-third of the pay for a kindergarten teacher, itself not a highly paid occupation. A few key points are worth remembering. From the state's perspective, their primary duty in dealing with the mentally ill or chemically impaired is to subdue them, so the ill or inebriated can do no harm to themselves or others. The state seems to also feel itself obliged to disable the accused person as much as necessary to stop any behavior that it feels is a threat to somebody else, or to themselves, or to property, or to the state in general. We should not be surprised when people get their civil rights impounded as if they were cars parked illegally. Members of state legislatures get elected by promising their varied supporters lots of things, all too often including that they will essentially ignore or imprison all who cannot be bought to vote for them. Laws are crafted for the benefit of those who can pay for an election campaign. If there are only homeless alcoholics and prison inmates in favor of a legality, then it will be beneficial for it to be redefined to be an illegality from the perspective of many elected officials. Also of note are Mens Rea and McNaughton. Those are the two standards of mental health law from the old days. Mens Rea is a Latin phrase that means the accused has the mental capacity of a wild animal. Such a person cannot be killed for his or her crime, even if that crime is murder. That person can, however, be detained for the rest of his or her natural life. McNaughton is the name of a Scotsman who experienced paranoid delusions about the prime minister of England in the year 1800. It seems that because of his delusions, this McNaughton fellow tried to shoot the prime minister. He failed at that mission, but succeeded in getting a new standard created for detaining the mentally ill.
McNaughton was deemed dangerously deluded but possessing more mental faculties than an animal. This is where we get the criteria for mental illness being called the McNaughton Standard. Governor Reagan wanted to foot the bill to detain all communists and anarchists, but not pay the bills for a mentally ill person. There are laws now that essentially say the government reserves the right to indulge in preventative imprisonment for crimes not yet committed. That is the essence of the concept of therapeutic imprisonment. I beg your indulgence to point out the obvious, that this behavioral health idea is often not in the best interests of the accused. They get no trial or lawyers or civil rights, and they suffer the callous disregard of elected bodies of government. With that all said and done, I will give you the rest of this book. Several sections have material in a fiction format, but I stress these incidents are terribly or potentially real. Because these incidents are so bloody, the state has been given the means, rights, and responsibility to imprison, for life, if deemed necessary. That is how indefinite mental health commitment is defined to the state legislature. It is life imprisonment for the safety of the community, an imprisonment with the too often only theoretical option of parole.